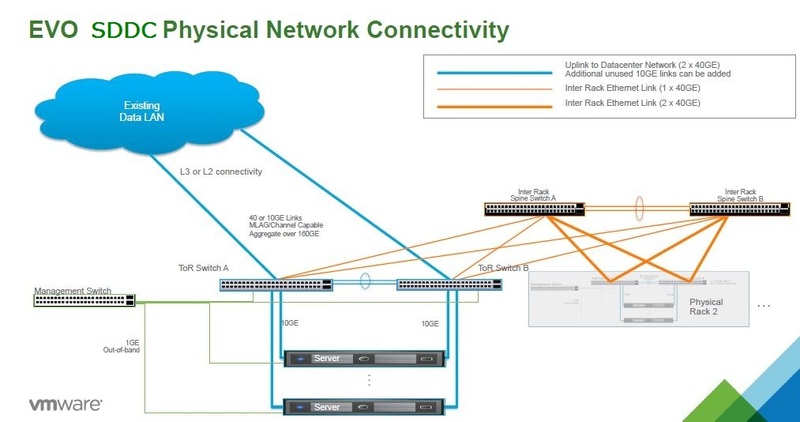 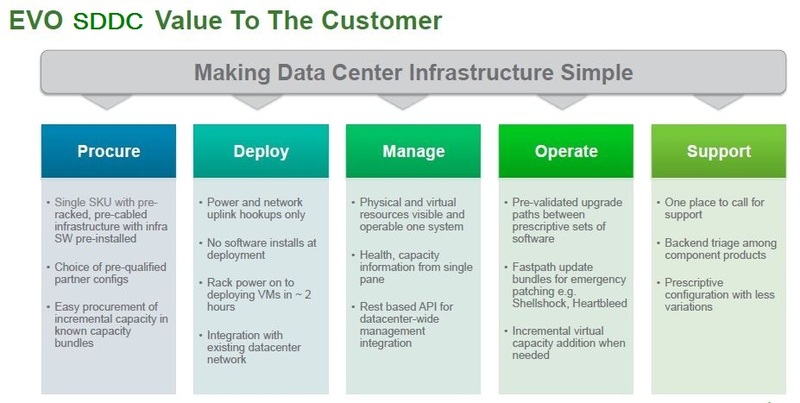 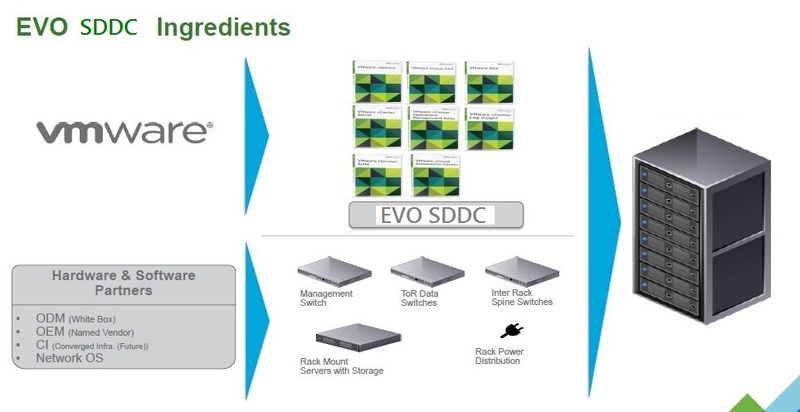 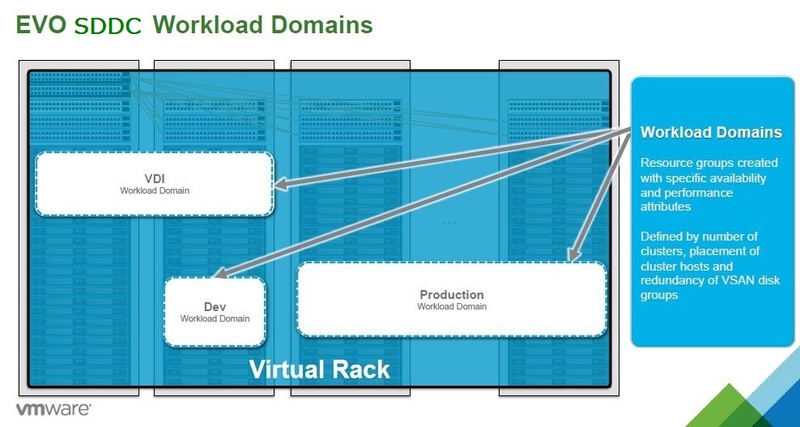 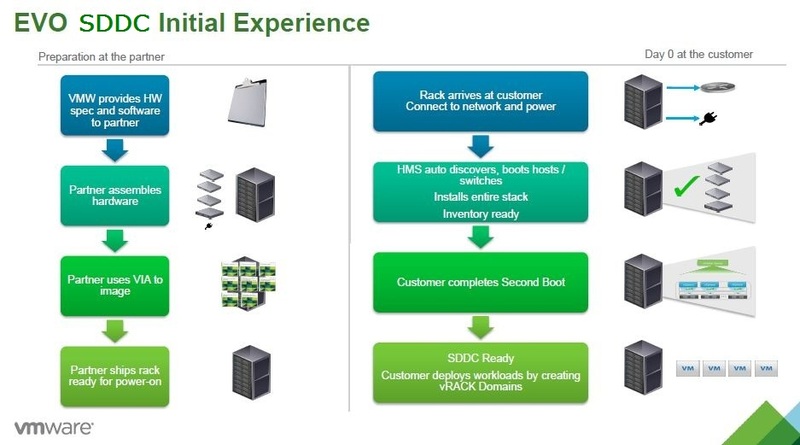 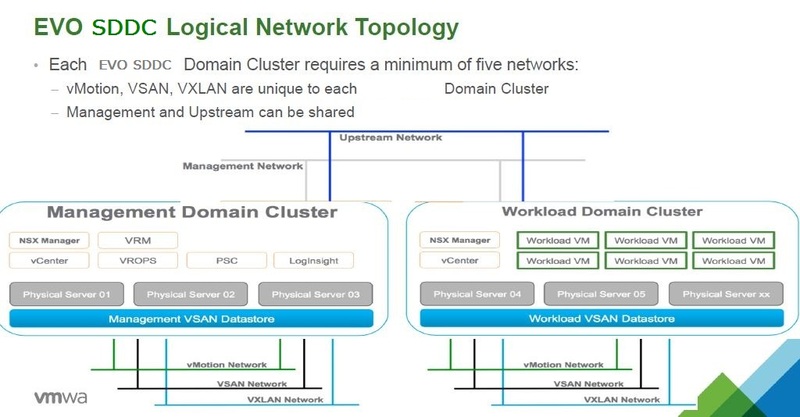 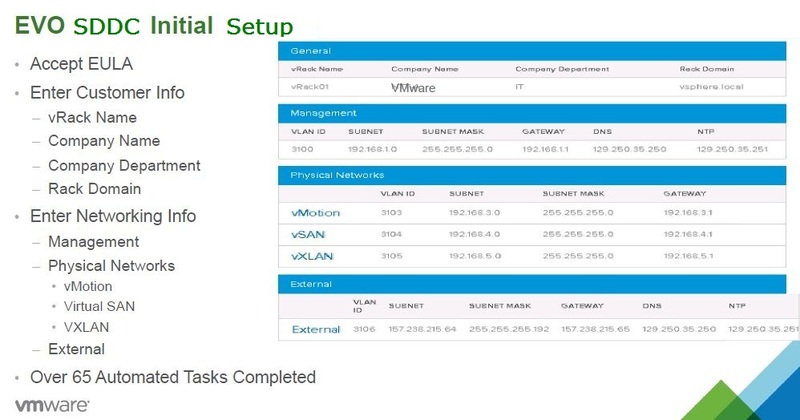 VMware EVO SDDC (previously known as EVO:RACK) has been announced. 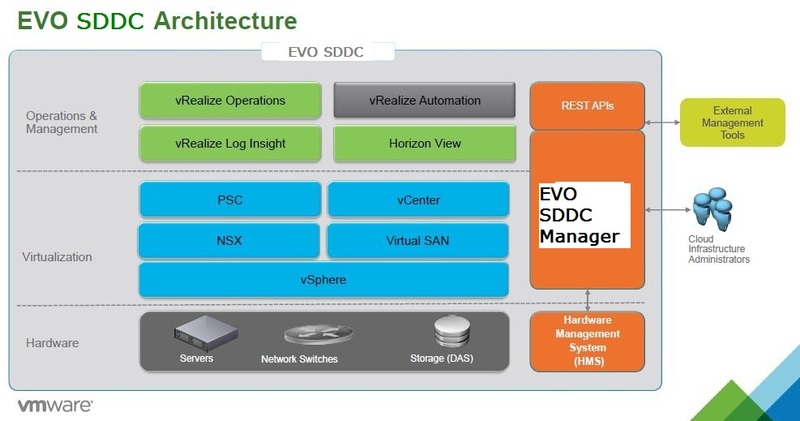 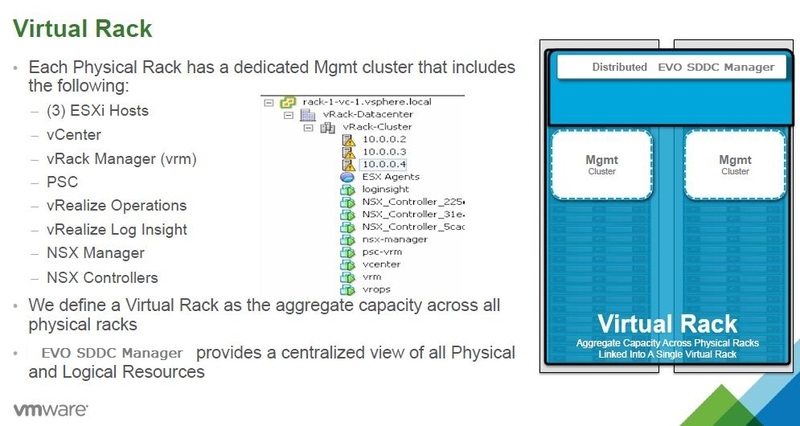 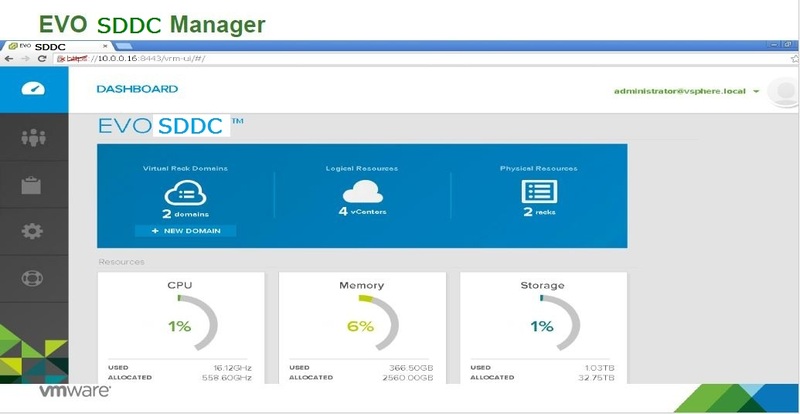 It will be interesting to see how VCE will use EVO SDDC Manager to complement VCE Vision. 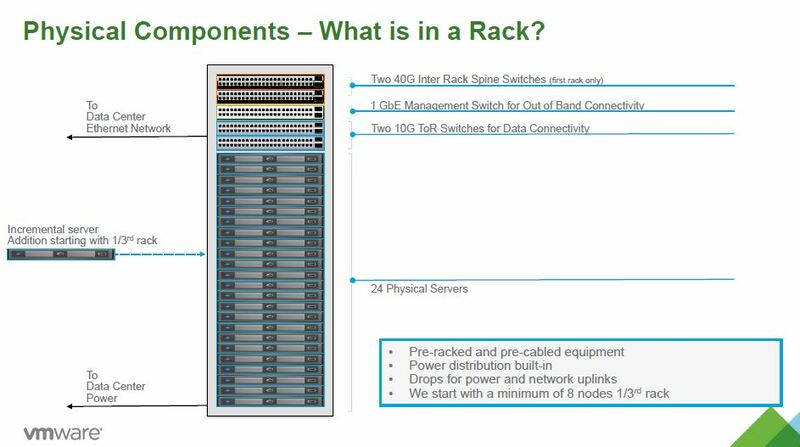 Physical Hardware Components per Rack: Two 40GbE Spine Switches (first rack), 1GbE OOB Management Switch, Two 10GbE ToR Leaf Switches, minimum 8 servers (1/3 rack), 24 servers per rack max. 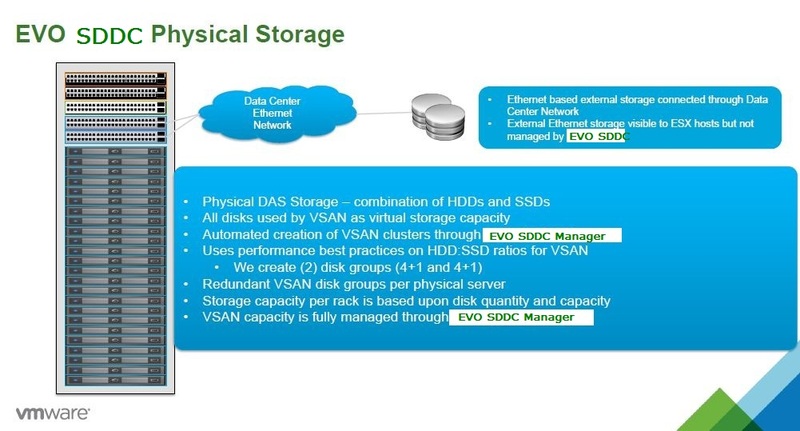 Partnership plans with VCE, Quanta and Dell to build integrated systems based upon EVO SDDC framework.